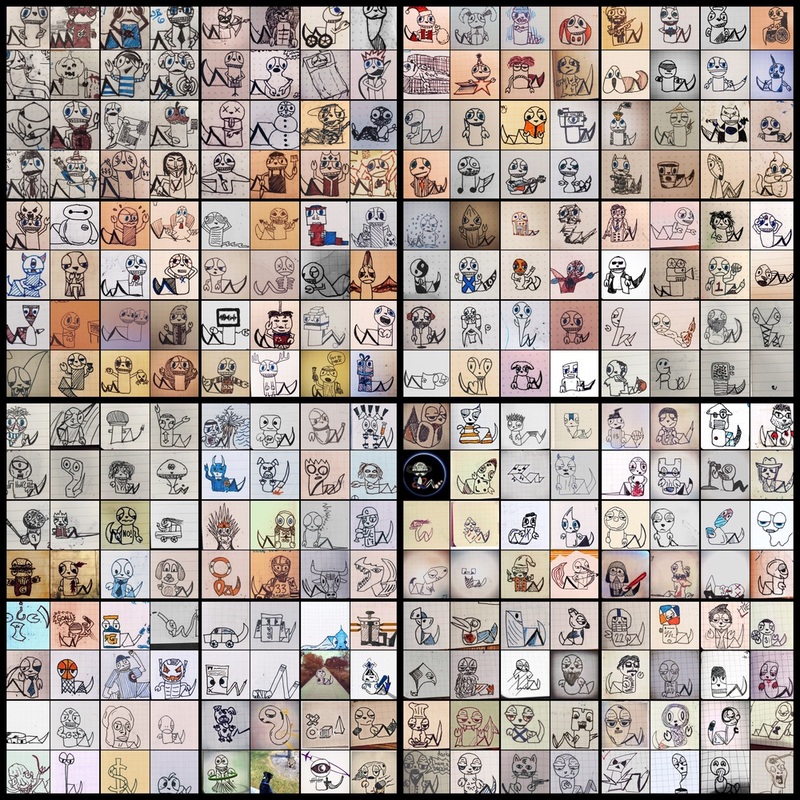 About 400 days ago (Dec 11, 2014), I stared an endevour of drawing a Grub (a little character I made up) every single day. Fast forward to today and I have drawn 256 grubs. Obviously, I didn’t keep up the one-a-day pace but doing more than one every other day on average over that time period isn’t bad. 256 may seem like a strange number to celebrate, but as you’ll see below it is the result of me finally being able to fill a 16x16 grid that I’ve been working towards since I started. The concept of my little character may seem childish to some but it has been a great practice. A simple doodle at the bottom of that day’s Field Notes page as a way to summarize the day has become almost routine for me. This is a practice I plan to continue and hopefully increase the ratio, getting closer to that one-a-day mark. If you’re interested in following along you can see them here.